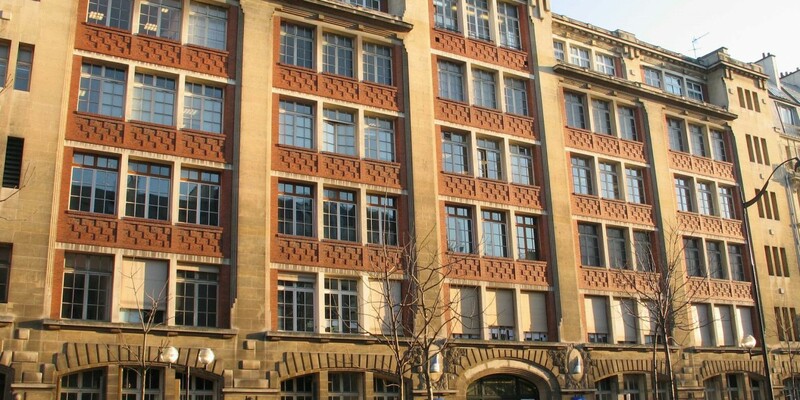 The location of Gobelins, situated in the heart of Paris, just next to the Latin Quarter, allows our students to take advantage of a cultural and artistic environment which enhances their talent and permits them to come into direct contact with creative energies which are among the best of what Europe and the world have to offer, whatever the mode of expression. Our professional and personal environments are filled with images. Whatever the media, presentation format, or technology used, images remain above all the creation of specialists responding to their own creative urge of course but also to the precise needs of companies from every professional sector. These kinds of future specialists, capable of analysing the demands of the clients and finding creative as well as pertinent solutions, are trained in Paris at GOBELINS, one of the schools of the Paris Chamber of Commerce and Industry. The training offered here is done either via full-time courses, part-time apprenticeship schemes, or continuing education programs for adults in the fields of interactive multimedia, animation, graphic design, print media, photography and video. Maintain a strong relationship with companies:Professionals make their presence felt through their participation in juries, advisory boards as well as numerous other meetings and events. They are the guarantee that what we offer in terms of training corresponds to the needs of the different professional branches. The school also maintains constant, productive ties with representative bodies and professional institutions. The many consultants and experts coming from companies and studios to teach and advise on projects reinforce our strong link with the professional sector. Focus on animation: Over the past thirty years, GOBELINS has been a key player in the European animation industry by developing comprehensive training that prepares students to work at all stages of the animation process: creation, design and production, with special attention given to the nurturing of the rare and specific skill of character animation. Today, Gobelins graduates from the animation course are present in French studios throughout the country but also in major studios around the world, including DreamWorks, Disney, Pixar, Framestore, Electronic Arts and many more. Indeed, they are prized for their creative and technical excellence as well as their professional level. That is because the course straddles the spheres of fine drawing and that of professional needs for skilled artists well practiced in the production chain of animation films and series. Focus on innovative pedagogical projects: The guiding principle in the pedagogical choices of the school is clear: to ensure that each student, apprentice, and trainee at GOBELINS receives the instruction he or she needs to acquire solid technical skills as well as a good cultural education in general, which in turn will allow graduates to successfully join companies, work on professional projects, and adapt to changes in their future professions. © 2019 Animation Sans Frontières.